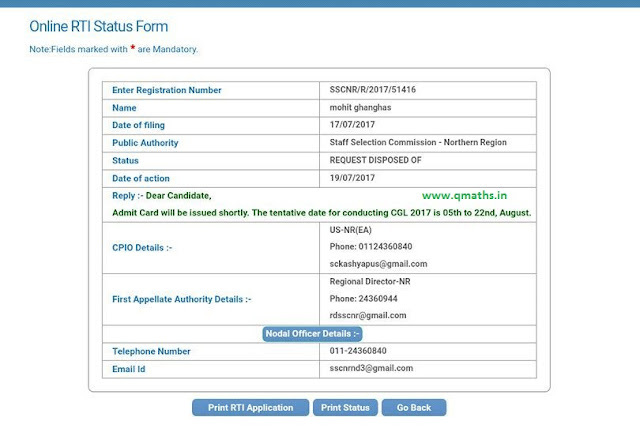 As per latest RTi reply, the SSC CGl 2017 exam is going to be held from 5th August to 22 August 2017. Admit cards will be issued shortly. You may view/ the RTI reply in image below. Admit card will be issued shortly. the tentative date for conducting CGL 2017 is 05th to 22nd August.